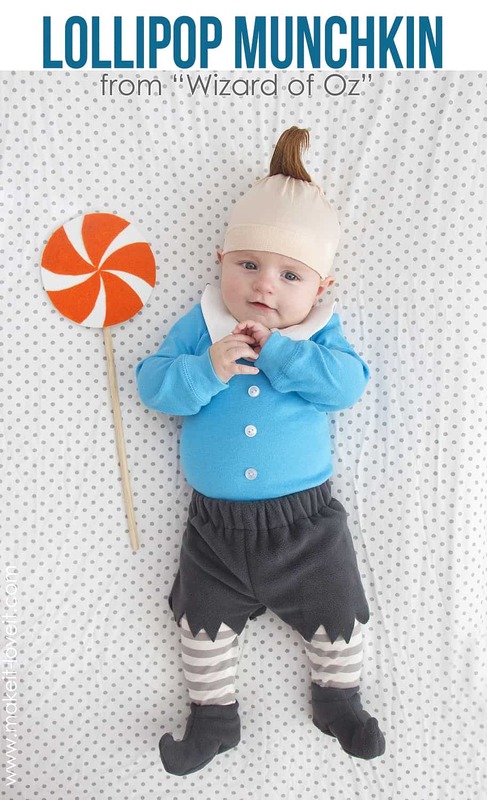 As parents ourselves, we totally understand the excitement of dressing baby up for their first (or even their second or third) Halloween. 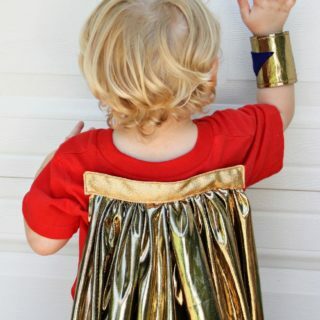 We also, however, get the logic behind not wanting to spend too much time or money on the costume because little kids want to be comfortable and they also grow so fast. 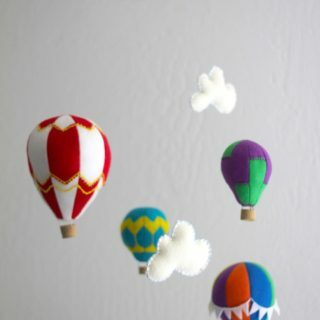 That’s why we’ve always liked the idea of simple DIY baby costumes that are both quick and affordable to put together. 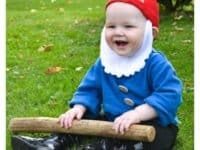 Just in case you’re in need of a little inspiration when it comes to making your littlest kid a fun costume this Halloween season, here are 15 of the cutest DIY baby costume ideas we’ve come across! We’ve always found it funny when older people refer to kids as “munchkins” because it has always reminded us of The Wizard of Oz. 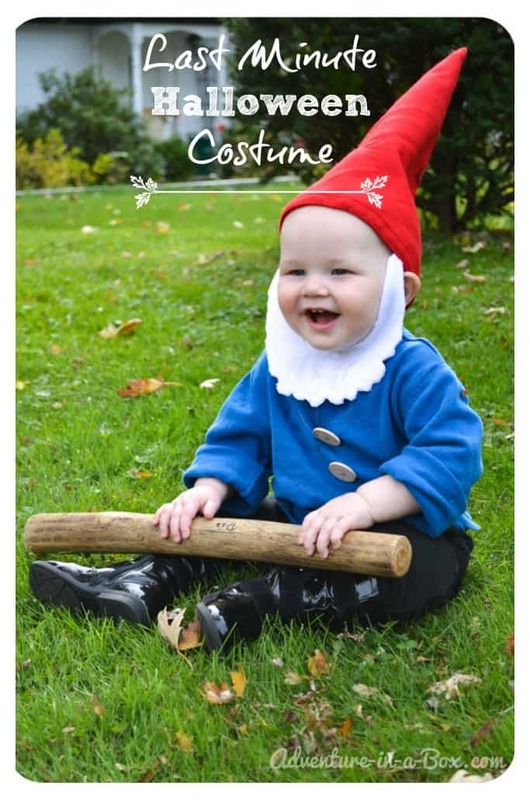 Imagine our amusement, then, when we came across this super funny (and super easy to make) little munchkin baby costume outlined step by step on Make It, Love It! 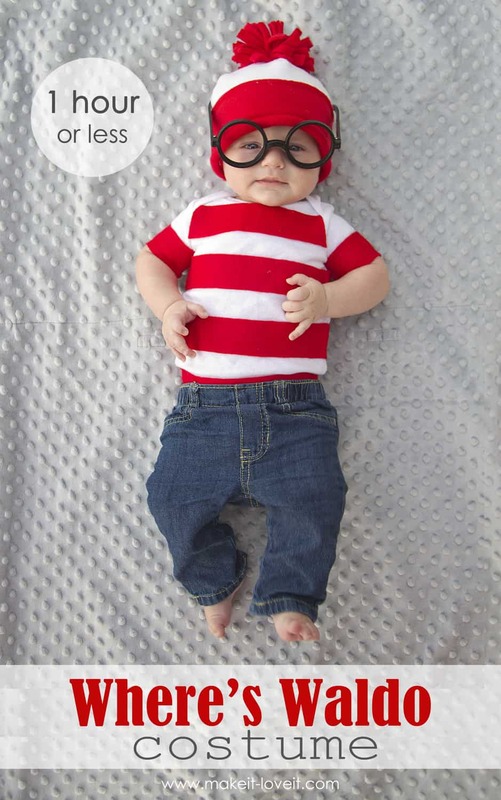 Is your little one actually a newborn who will still be very tiny indeed come Halloween? Then we’d suggest making things easier for yourself by simply transforming one of their regular onesies into a cute outfit, so you know they’ll still be comfy even once they’re dressed up! 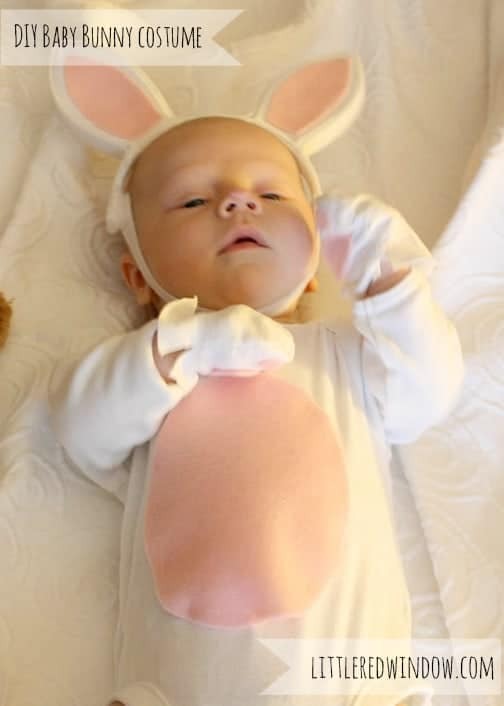 This adorable little DIY newborn bunny outfit featured on Little Red Window is the perfect example of what we mean. 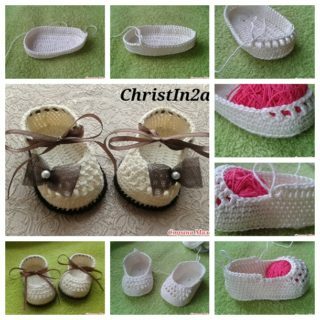 Do you adore the idea of dressing your little one up like a baby animal but they’re a toddler by now, so you need a tutorial that will help you make something in slightly bigger sizes? 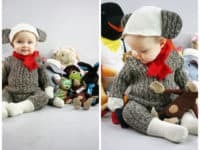 In that case, we think you simply must take a look at how Alida Makes handmade this adorable fleecy hedgehog outfit that’s so cute we can barely stand it. 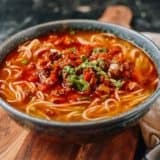 Are you actually quite good at costume making so you’re looking for something a little more challenging, but you’d also prefer it be something that will keep Baby warm, since you live in a chilly place? 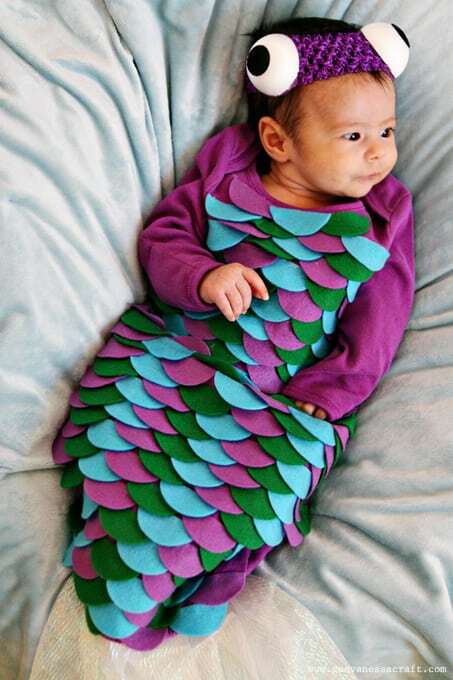 Then we think you might get a huge kick out of the way See Vanessa Craft made this snuggly style baby fish costume with colourful overlapped felt scales! 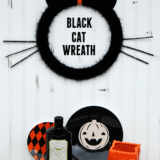 Did the idea of a slight sewing challenge intrigue you, especially if it will keep your little one warm, but you need a design that will let them toddle around and walk on their own while you’re out Trick or Treating? 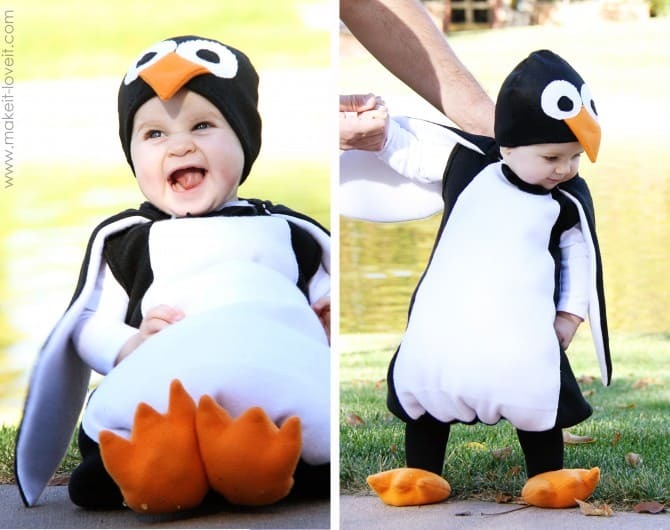 Then we think perhaps you’ll get along a little better with this adorable DIY baby penguin outfit! 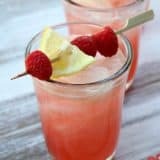 See how it’s done on Make It, Love It. 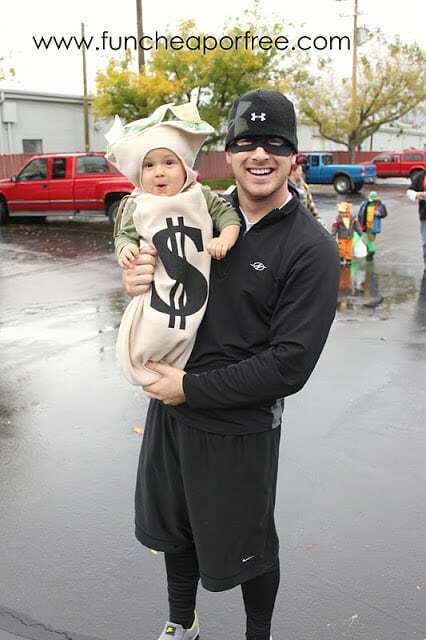 Babies dressed as old people has always made us laugh, whether it’s Halloween or not. 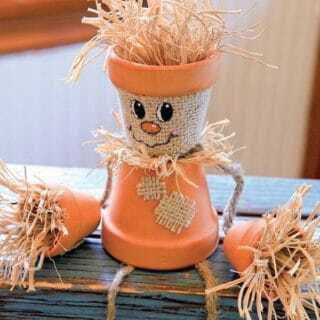 We’re sure you can imagine our amusement, then, when we came across this super cute baby garden gnome idea outlined step by simple step on Adventure in A Box! Okay, we’ll be honest; there actually is one thing we love even more than babies dressed as old people. 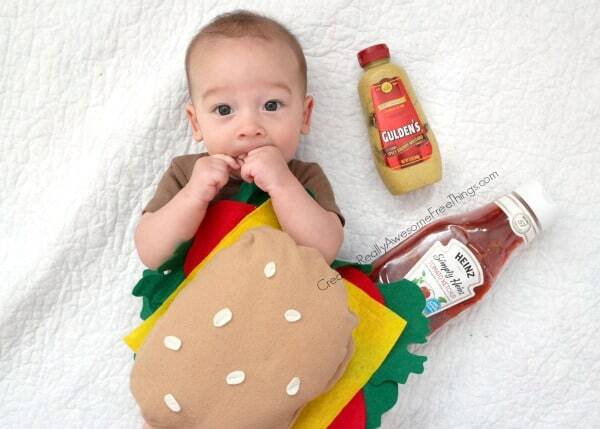 It’s babies dressed as food! That’s why we got such a kick out of this silly DIY idea from Creating Really Awesome, Fun Things for dressing your baby up like a hamburger, complete with a bun, cheese, and veggies. 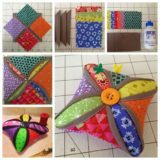 Do you like the idea of making a baby costume that has lots of careful felt layers but you’re not feeling very confident in your sewing skills? 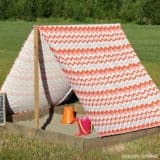 Well, thanks to this tutorial on Fun at Home With Kids, you can totally still make something along those lines using no-sew techniques! 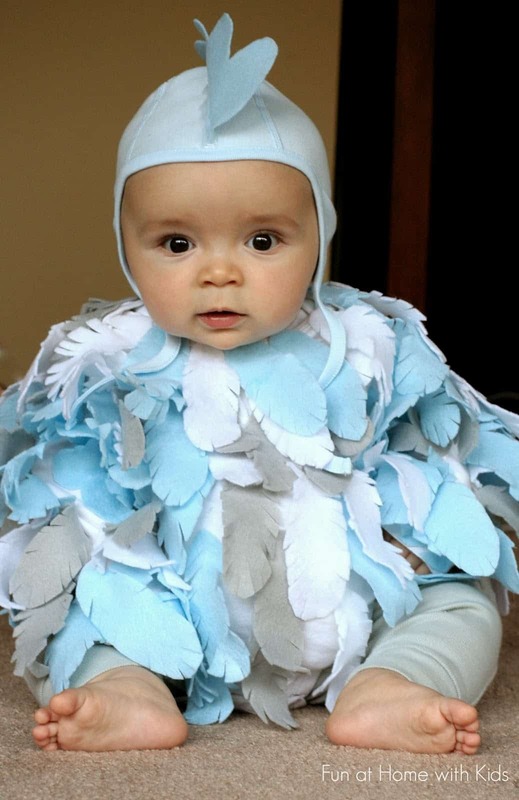 Check out how cute their feathery baby bird costume is. 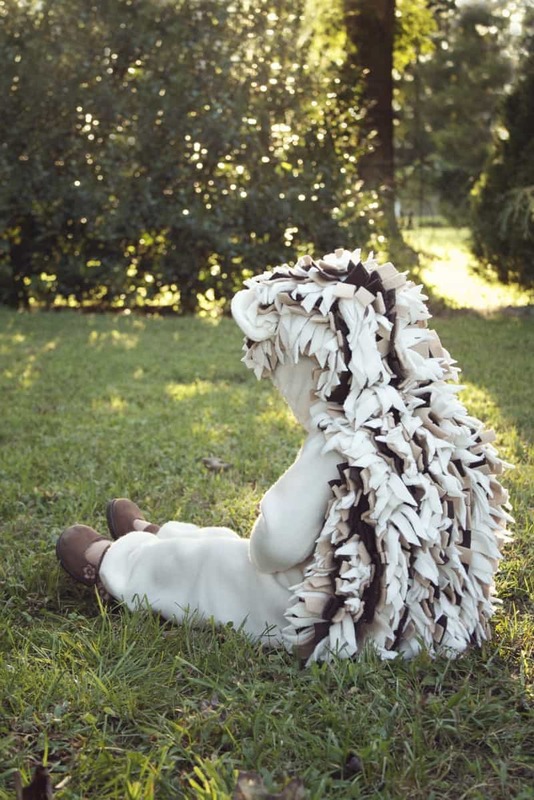 Are you perhaps very pressed for time indeed and looking for a DIY baby costume idea that literally only has two or three steps to it? 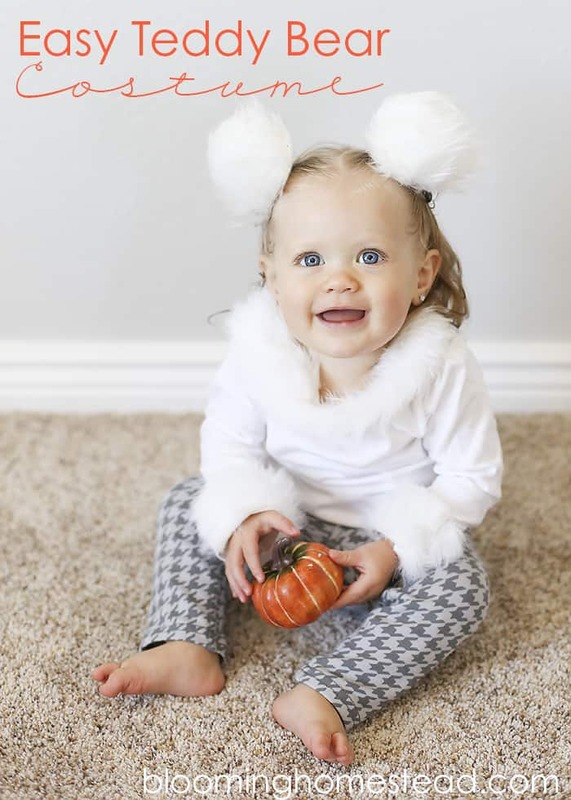 Well, we can certainly understand that feeling, which is why we wanted to make sure you see this adorable little teddy bear costume that includes a simple fur collar and pom poms on a hairband for ears. 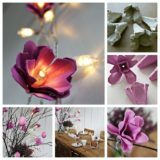 Get the full details on Blooming Homestead. 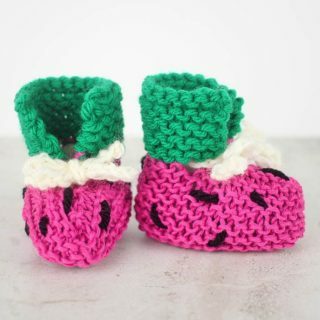 Were you a pretty big fan of the altered baby onesie idea that we talked about a little bit earlier on our list but you’re feeling quite crafty indeed and you’d rather make something that takes a little more alteration of embellishment? Then we’d definitely suggest taking a look at how Make It, Love It used felt and spare baby bottle toppers to make an adorable cow costume! Have you actually been scrolling through our list hoping to find something very girly indeed but nothing has quite caught your eye just yet? 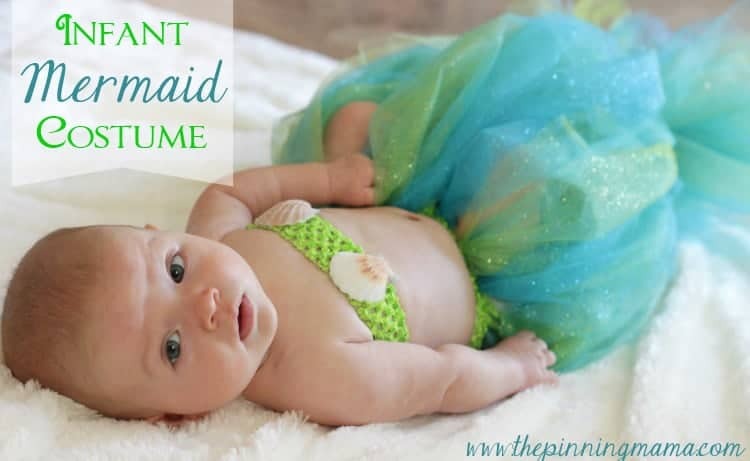 In that case, we think perhaps this adorable baby mermaid costume, made with wonderful sparkly tulle, might be closer to what you had in mind! 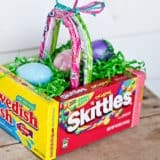 Get the full details for making your own version on The Pinning Mama. 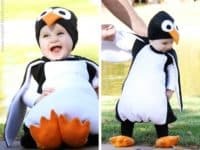 If you’re going to put in the effort to make a DIY baby costume, would you rather make something that can coordinate with an adult costume too, just to make Trick or Treating that much cuter? Then we think you’ll get a kick out of the way Domestic Perfection turned their baby into a bag of money, to be held by a burglar parent! 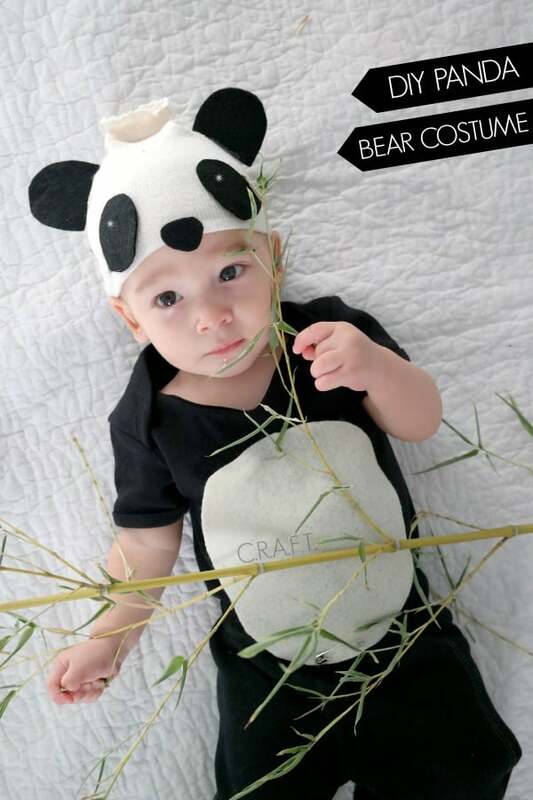 Just in case you were worried that your options for cute DIY baby animal costumes were over before you’d seen one that really stole your heart, here’s another cute project for your consideration! 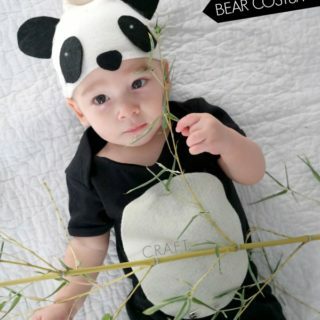 Check out how Creating Really Awesome, Fun Things turned a onesie and a hat into a baby panda bear outfit. In the interest of showing you DIY baby costume ideas that are so cute we can hardly keep from squealing, here’s a little sock monkey outfit that just might be our favourite thing on this list! 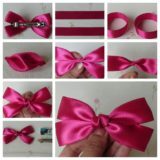 Check out Grosgrain Fab to see how it’s made, right down to the adorable red scarf, just like the real thing. 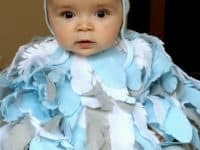 Have you actually been wondering whether there’s a way to make a baby costume out of things you might already have, keeping things nice and quick, as well as affordable? Well, if you’ve already got a red and white striped shirt or onesie for Baby to wear, then you just might be in business! 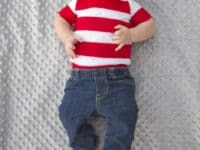 Take a look at Make It, Love It to see how this miniature Where’s Waldo outfit was put together.